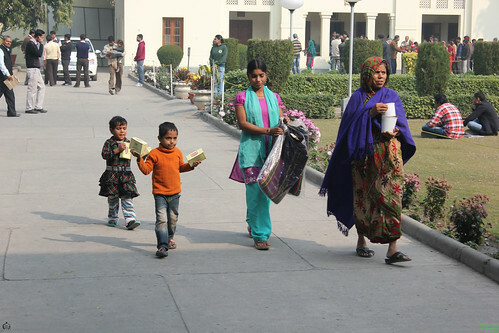 The Free Milk Distribution Scheme which was inaugurated on 1st May 2009, gained momentum in course of time when many poor children in the vicinity (age group of 2 to 6 years) and expectant/lactating mothers started taking the benefit of free milk distribution. The number of beneficiary children gradually increased. 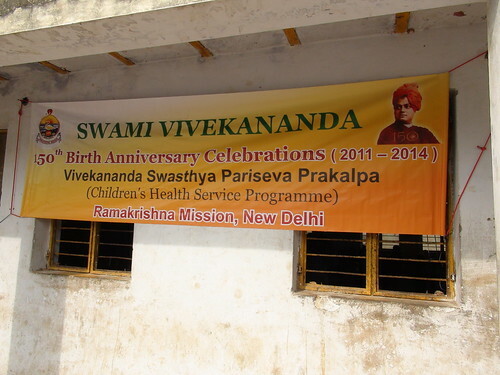 Two programs titled Gadadhar Abhyudaya Prakalpa and Vivekananda Swasthya Pariseva Prakalpa were also started two years ago. 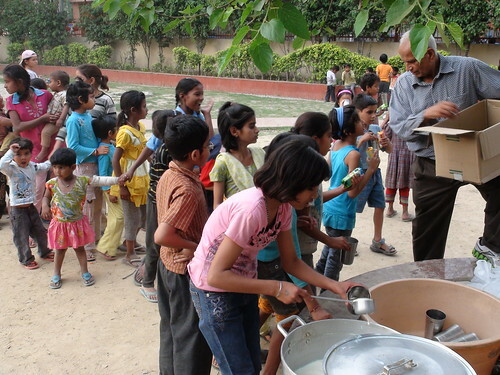 In the year under review, total of 200 children (120 boys and 80 girls) were benefitted by these programs. 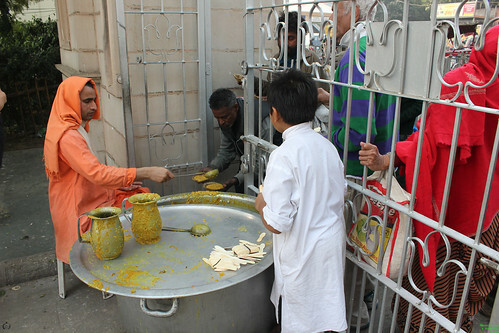 In addition to milk, nutrition in the form of snacks is also provided. Besides, some useful items like tooth brush, tooth paste, school uniforms, pens, exercise books, soaps etc. are also being given every month according to their needs. 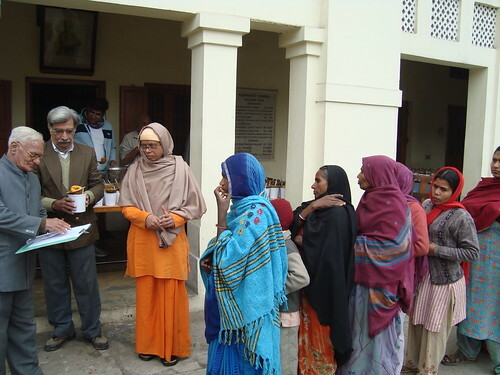 On some occasions, medical aid is also provided to them. 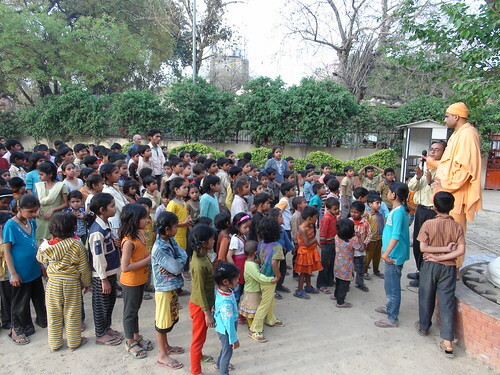 Before the distribution of the above items, the children are taught some bhajans and Vedic prayers for their moral and spiritual development. The venue for one of the programes is a nearby park maintained by LNJ Bhilwara Group of Industries where a statue of Swami Vivekananda is located. The other Gadadhar Abhyudaya Prakalpa is conducted at New Rajinder Nagar and the Vivekanda Swasthya Pariseva Prakalpa is conducted at Vasant Vihar. On the whole, this project is a great success and has attracted the admiration of one and all. In the year 2017-18, a total of 924 litres of milk, 2115 kg rice, 934 kg dal, 20 kg jaggery, 36 kg dalia, and 350 kg cooking oil were given to needy TB patients at our Free TB Clinic at a cost of Rs 2,09,798. 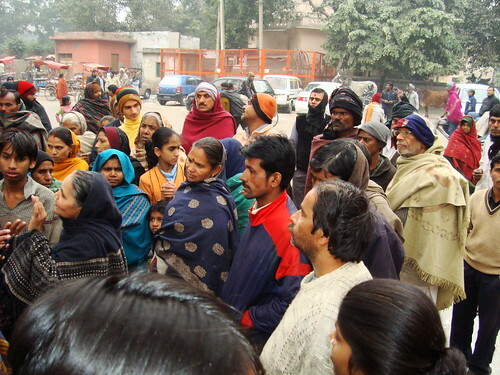 There were 5688 beneficiaries of this programme. 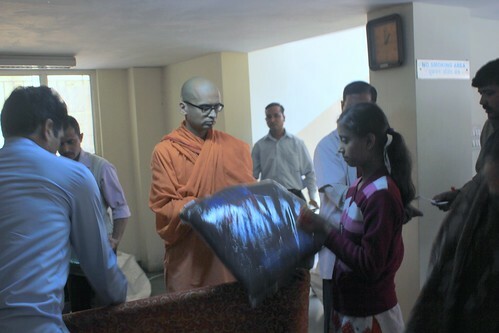 421 blankets were distributed to poor TB patients and other needy people. At several DOT centres, as many T.B. patients are poor and cannot afford a nutritious diet the centre provides them with milk, eggs, biscuits, and other food supplements. 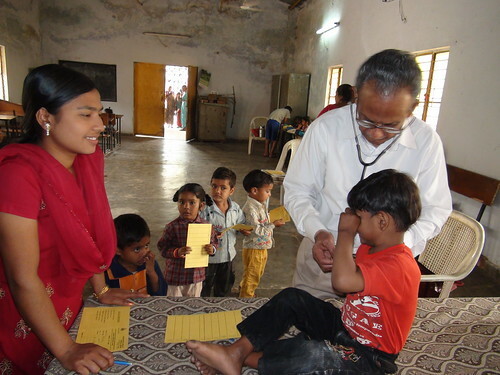 Select patients are also provided pecuniary aid for purchase of food supplements and for education of their children. 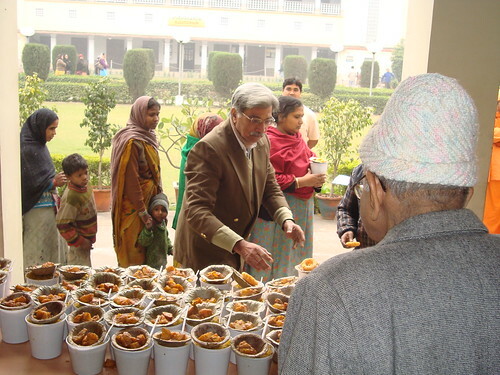 Necessary food items like wheat flour, tea etc are distributed every month to poor T.B. patients.